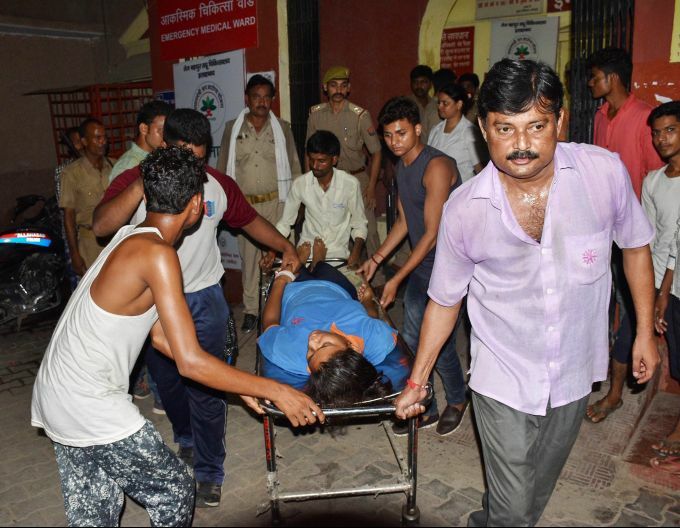 Allahabad: National Cadet Corps cadet being brought for treatment after an alleged case of food poisoning at their training camp, in Allahabad, Monday, Sept 24, 2018. 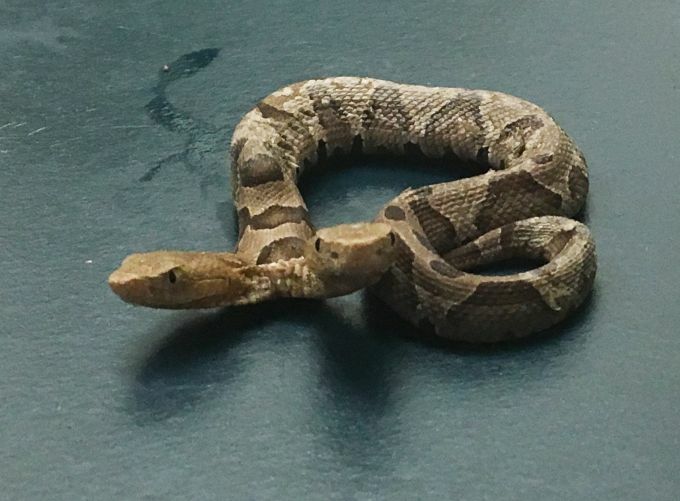 Waynesboro: This Sept. 20, 2018 photo provided by the Wildlife Center of Virginia shows a two-headed Eastern Copperhead snake at the center in Waynesboro, Va. The center says the snake was found in a northern Virginia neighborhood. 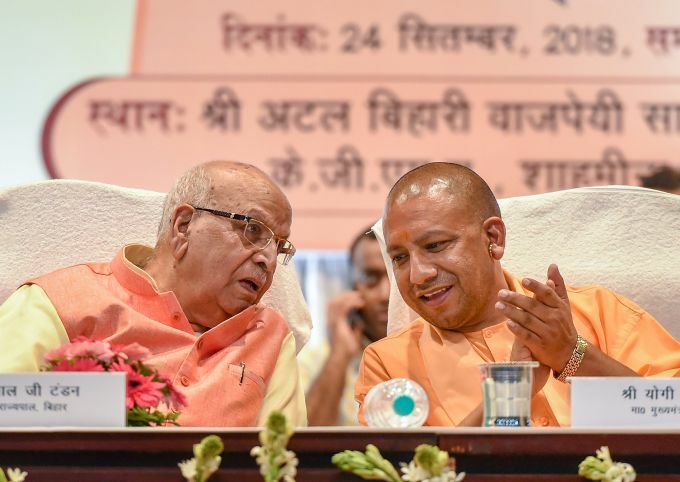 Lucknow: Uttar Pradesh Chief Minister Yogi Adityanath speaks with newly-appointed Bihar Governor Lalji Tandon during latter's felicitation function, in Lucknow, Monday, Sept 24, 2018. Kamrup: Actors of 'Village Rockstars' in a ligh mood at director-producer Rima Das' residence, at Chaygaon in Kamrup, Sunday, Sept 23, 2018. Das’ National Award-winning Assamese feature 'Village Rockstars' has been chosen to represent India in the Best Foreign Language category at the 91st Academy Awards next year. 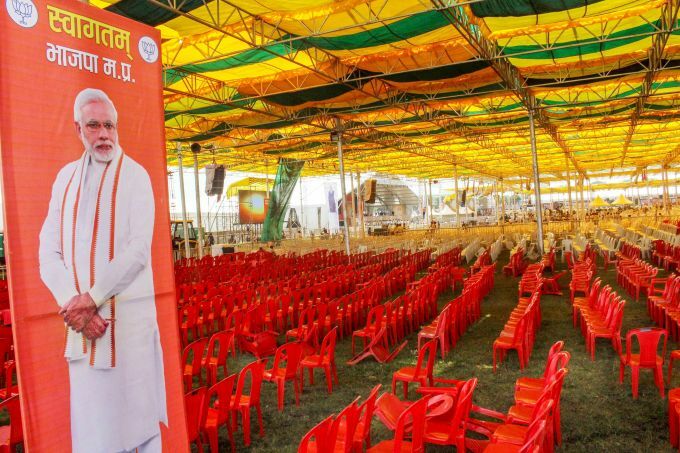 Bhopal: Preparations underway ahead of Prime Minister Narendra Modi's visit, at Jamboree ground in Bhopal, Monday, Sept 24, 2018. Modi and BJP National President Amit Shah will attend BJP 'Karyakarta Mahakumbh' on Sept 25.